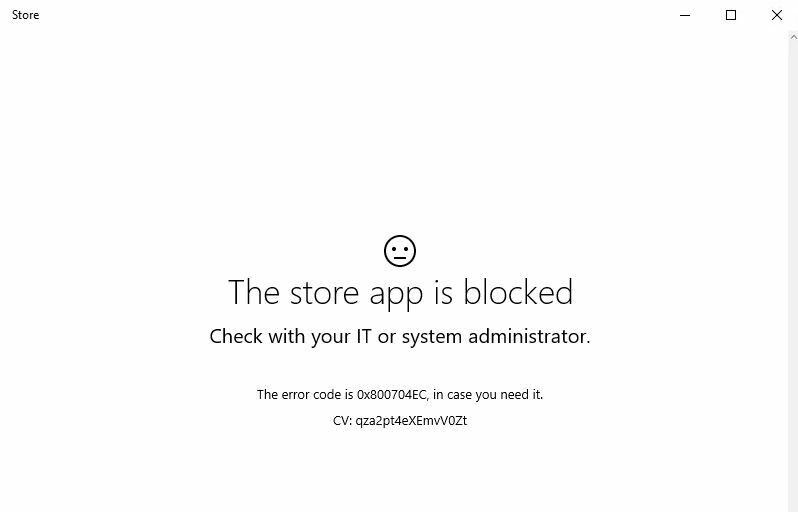 How can I restrict access to the Windows Store? A question that comes up to me very often within my daily work. There are several ways how you can do this. 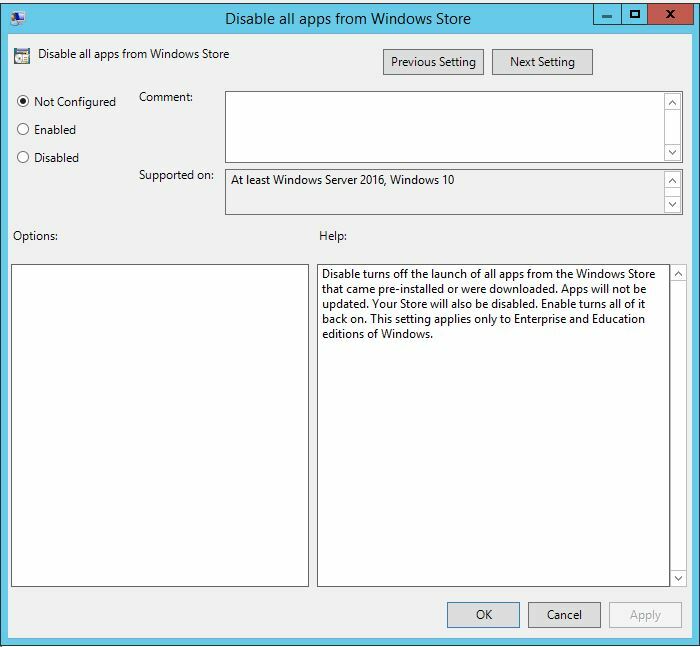 One way to disable Windows Store is by Group Policy (GPO). 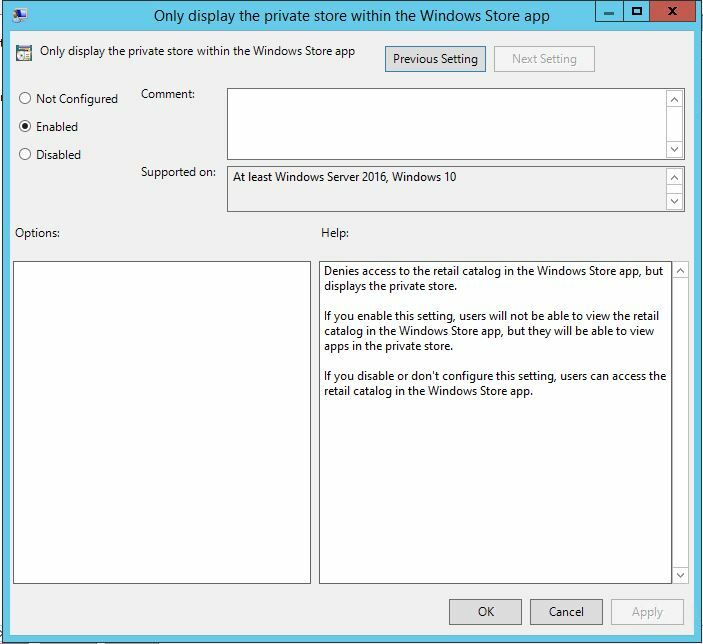 This GPO setting will disable the Windows Store and the Windows Store for Business / Private Store. 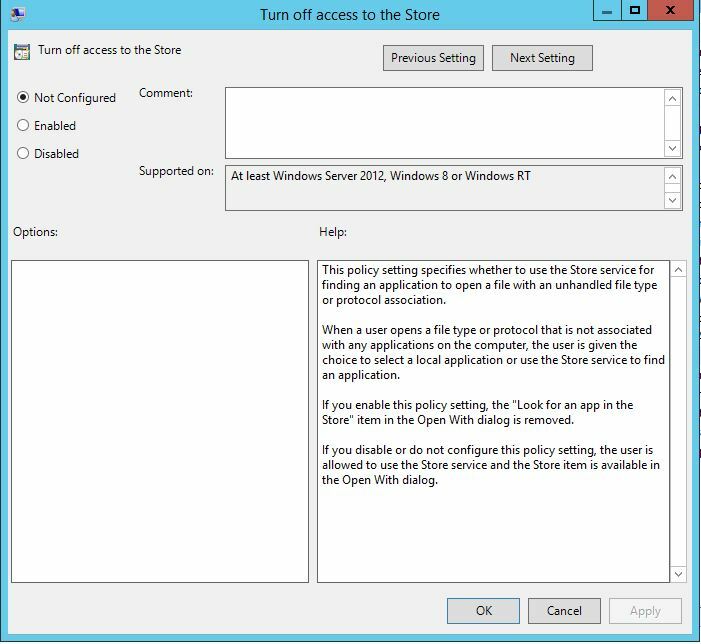 If you decide to turn of the store I recommend to set this GPO setting as well: “Turn of access to Store”. 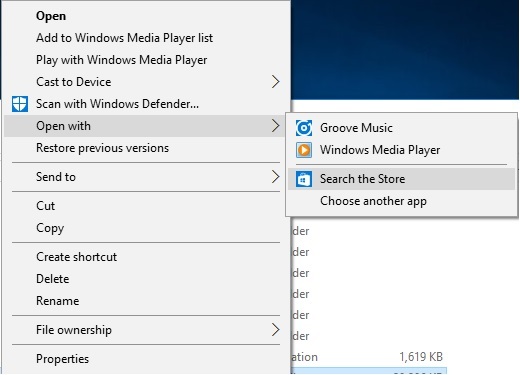 It will remove the “Search the Store” Option from your context menu. Another way to disable the Windows Store is by Registry. And there’s one more thing: Even the Windows Store is an universal app and you don’t want your employees to use it – I highly recommend do not remove it from your installation. We’ve tested this in several scenarios and it mostly lead us to issues you don’t want in enterprise environments to happen. This policy turns off the launch of all apps from the Windows Store that came pre-installed or were downloaded. Any apps will not be updated and the Store itself will also be disabled. 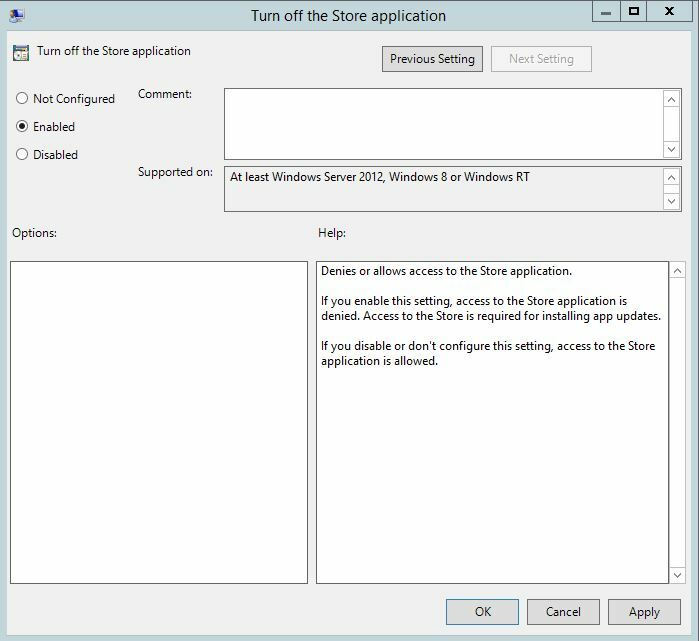 Can I restrict access to the Windows Store and allow access to the Windows Store for Business? This is a new thing within Windows 10 Anniversary Update. 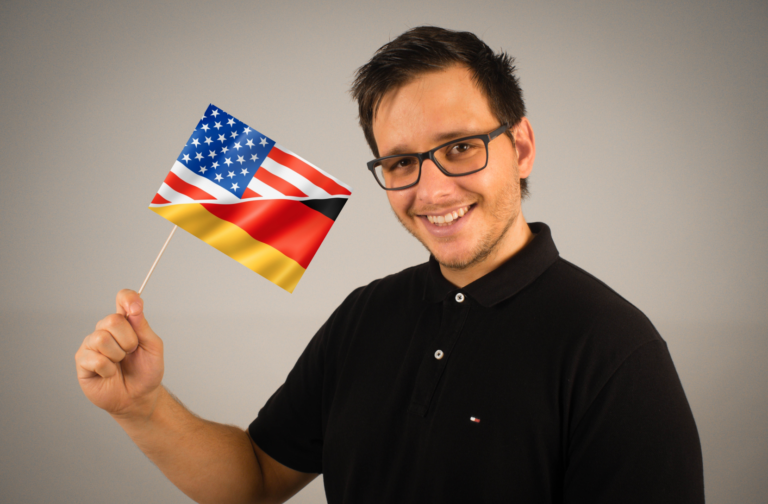 As you maybe know Microsoft has released a new set of policies for Windows 10 and Windows Server 2016.  The group policy settings reference for Windows and Windows Server 2016 can be found here.